Station newspaper report – read all about it! just like to see more volunteers now! 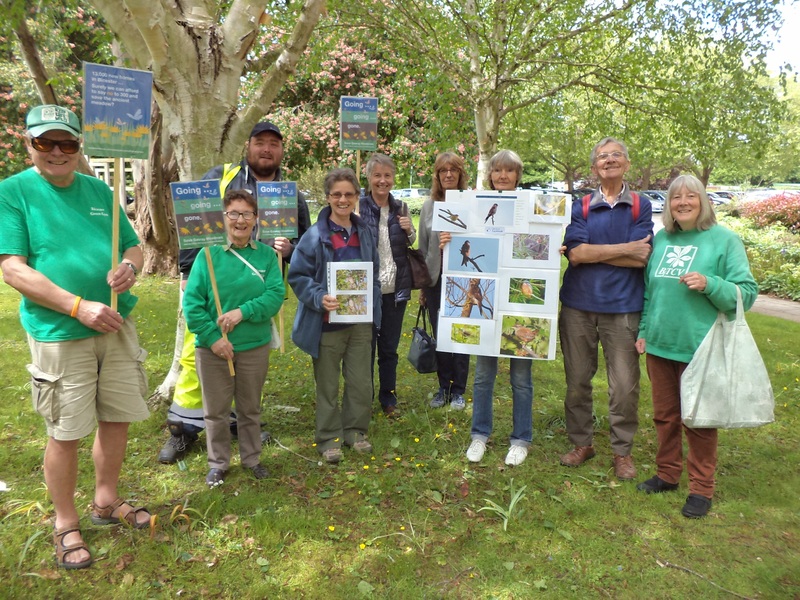 A few days later we donned our new green kit for a gentle protest at Cherwell District’s planning meeting, where we were pleased to see a deferral of the planning to build 300 homes on Gavray Meadows until a Conservation Management Plan has been drafted. 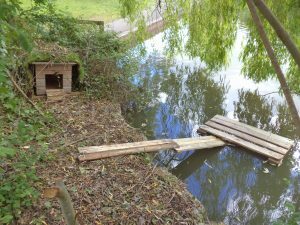 May 2017 – we got creative in Langford Village and made a little hostelry and pontoon for the local ducks on Jubilee Lake. We hope they will settle in and start breeding. It was distressing to hear that some ducks had been shot for sport and there is a shortage of females for breeding. See the house at Jubilee Lake. 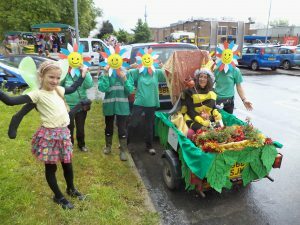 Saturday 25th June 2016 – we made the most of the Town Council’s annual Carnival to publicise ourselves, and ran a float and a stall. 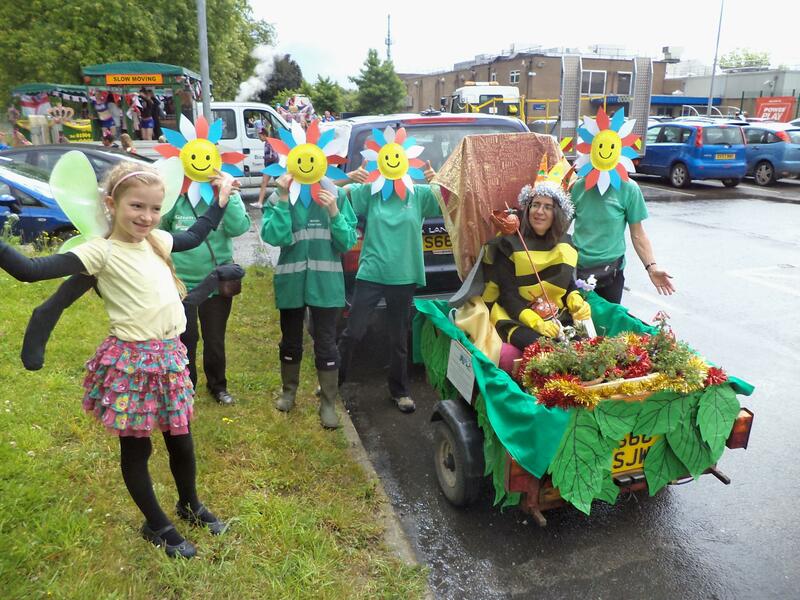 The theme was “Royalty”, so with Queen Bee on her throne and a troop of dancing flowers in attendance (and a butterfly) off we went, but it soon rained on our parade! It was torrential and we spent the rest of the afternoon steaming off in the sunshine as we manned our stall. 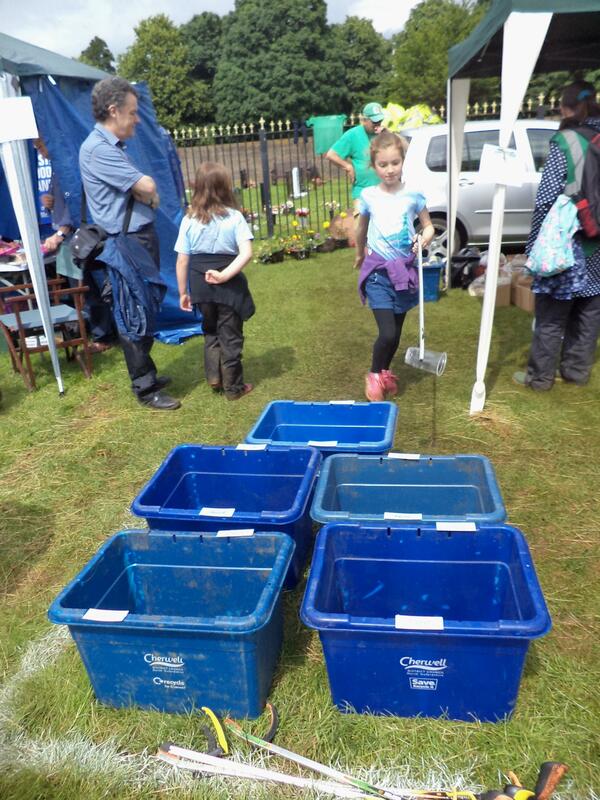 There were plants for sale and a speed-littter-pick game with sorting into the correct recycling bin. 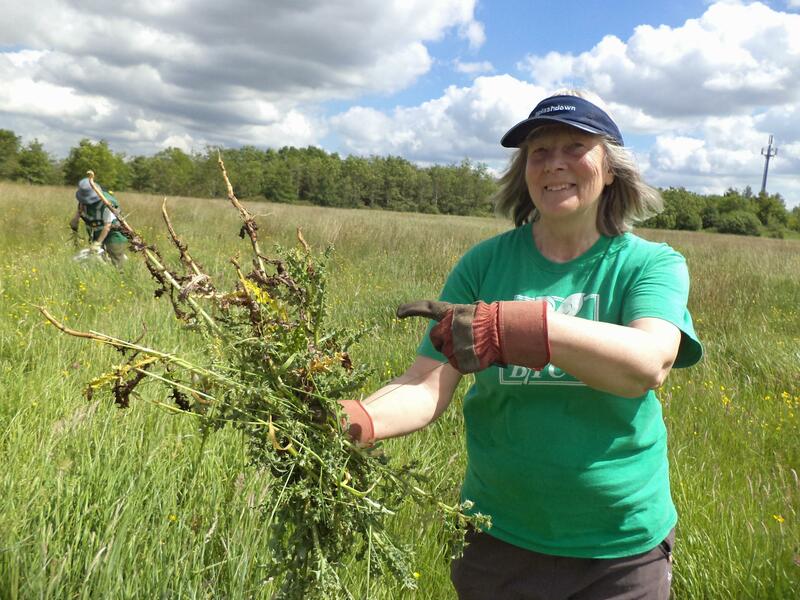 July 2015 – repeated last year’s activity of thistle-pulling at BBOWT’s Meadow Farm. In hot sunshine and amid nature’s finest blooms, it made this arduous task a lot easier. 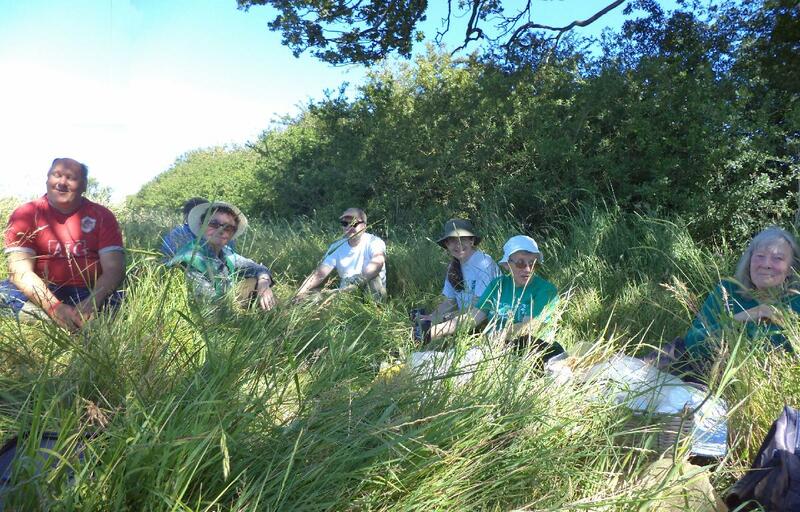 June 2015 – had fun cutting back cow parsley and nettles from Bure Park school’s nature garden – we nearly lost the shortest members of the group! 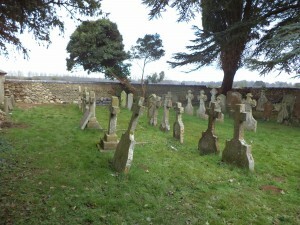 Hethe Catholic chapel graveyard with two gaps, and a lot of ivy, before we started work. Hethe stone wall afterwards – no ivy and a rustic finish! April 2015 – Our latest video Kingsmere walkabout shows us walking round Kingsmere on a sunny day over Easter. It will be interesting to see how much work we may get there, and what it will look like in 10 year’s time! There are loads of saplings and hawthorn whips planted! 17 Nov 2014 – there was much celebration as a long project reached completion. 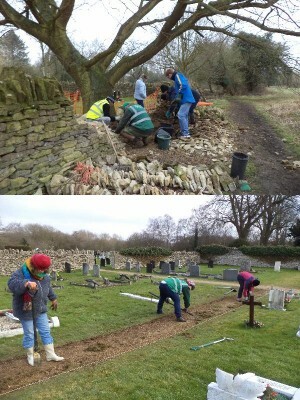 There had been around 4 all-group sessions, and additional visits by keen dry-stone wallers from the group, to repair two holes in the graveyard wall of the Hethe Catholic chapel. By removing excess ivy, we revealed even worse gaps elsewhere, but this particular section looks very nice and should last a few more years! 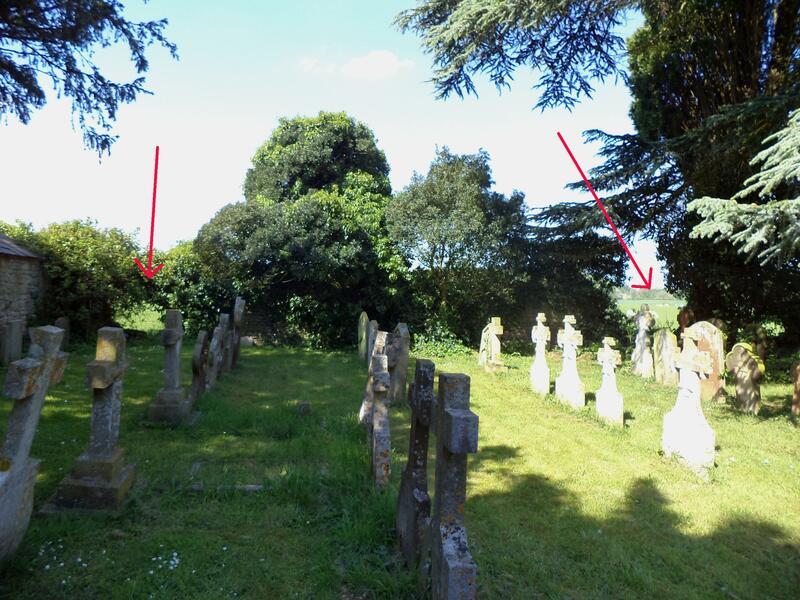 24 Sept 2014 – about time there was an update here! We have been busy veggie growing in a community allotment and at Garth Park. We have been glad to see some new members join, but a couple of others have moved house. No doubt with autumn coming on the annual woodchip work on paths will begin as well as winter pruning, coppicing and planting. See our programme for what’s on. 20 Feb 2013 – with Woodstock Green Gym helping rebuild a dry stone wall and improve the gravel paths. 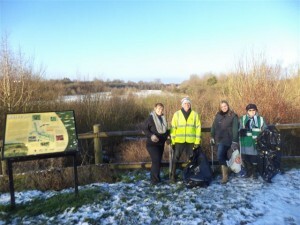 15 January 2013 – A very big thank you to Leanne, Cara and Francois from the Amey Group in Abingdon for joining us in Bure Park today. Your enthusiasm was contagious. What’s happening in 2012 – MEMBERSHIP AND ENQUIRIES – There have been many enquiries, many of which have become regular members. We now average around 16 members per week. A budget has been set from which team clothing will be purchased. 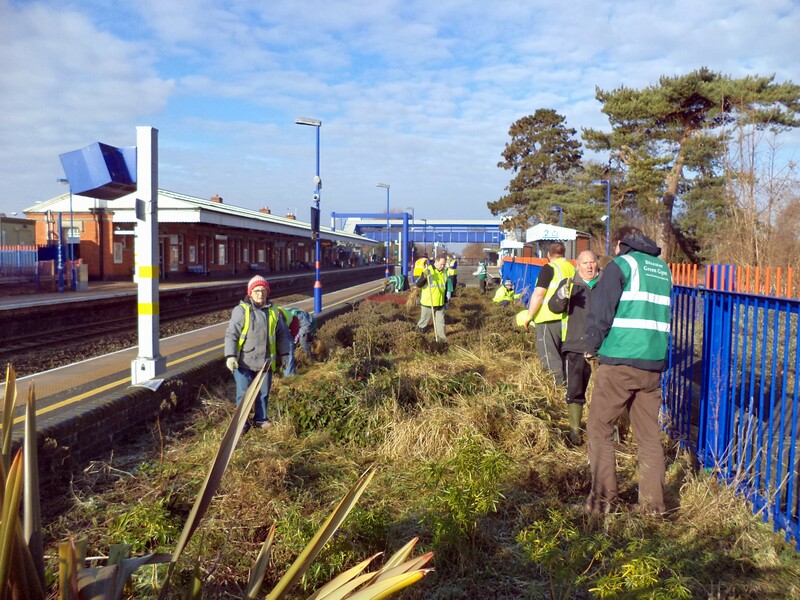 PROGRAMME – We have been able to maintain a busy schedule, though with the increasing membership, finding enough tools and type of task to keep everyone busy, has been a challenge. 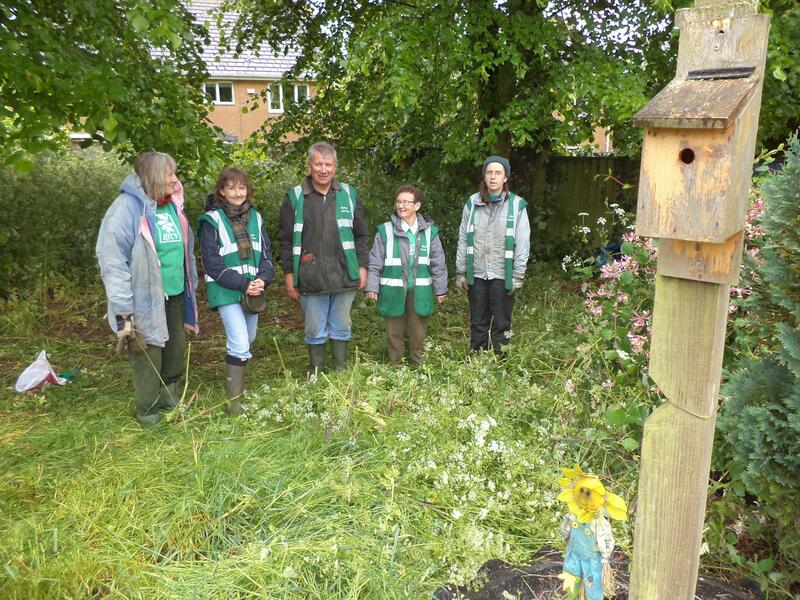 We have been active in what is becoming known as the Langford Community Orchard, making a real improvement to the trees there. 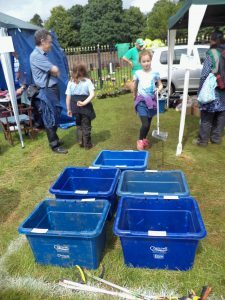 We have done some huge litter picks, continued assisting the Friends of Island Pond Wood in Launton, and picked our own vegetables from our flowerbed in Garth Park. Finding woodchip has been a challenge as always, but Steve has been able to source some local tree surgeons who keep us supplied. In our budget we have set some limits for spending on new tools and plants. WEBSITE – The website’s contact form has been a good way for potential members to get in touch. It is easy to update, mainly with just the programmes and additional photos this year. Justine and Bea have Admin access. 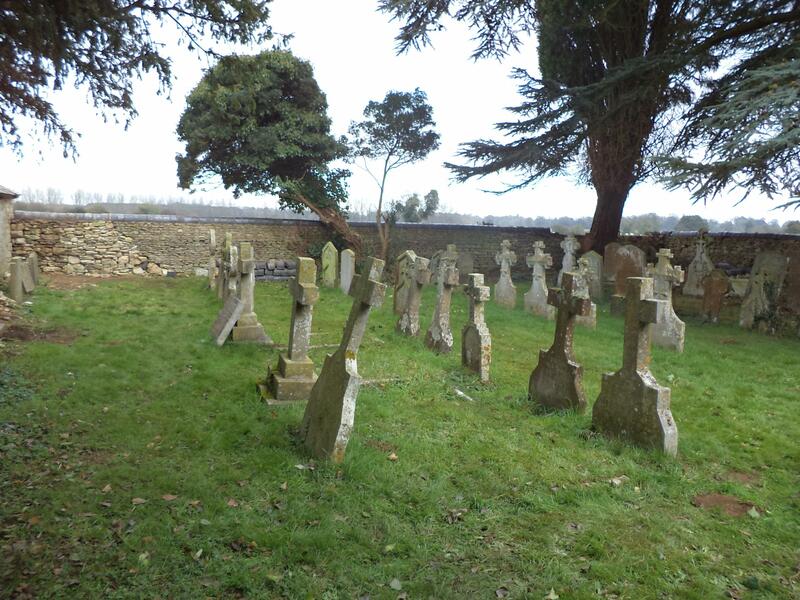 TRAINING – David Rees has instructed us on tree pruning and we have also met with Cherwell’s tree man, Jon Brewin. Bea represented the Gym at an annual conference of conservation groups organised by the Oxfordshire Nature Conservation Forum. We should look out for opportunities for training, though in general these are expensive, being at least £40 a head. PUBLICITY – We held an exhibition stand at the recent Eco-Day organised by Grassroots Bicester. There is a stock of leaflets and business cards which are on hand most Tuesdays to hand out to passers-by, which are also placed in the library, doctors’ surgeries and schools. SOCIAL EVENTS – We had another great Christmas meal and there was a prize-giving as a result of Bea’s register-keeping! (This is also for health and safety reasons, and BTCV records). We have had a visit to Asham Meads to see the orchids and intend to visit the Otmoor bird reserve. Overview of 2011 – We worked in new sites such as Rainbow Playgroup’s nature garden, Merton Community Woodland and did further work in Kings Meadow School, quarries and the Community Hospital. 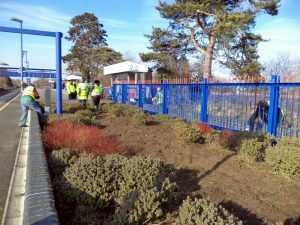 We have enjoyed new work in Garth Park where we have been allocated a flower bed near the bowling green, and help in creating a community garden with green house and vegetable patch. With the changes to Bicester Town Centre we will not be assisting in Bicester in Bloom, so we are glad to help the Town in this way. We recently coppiced in Thrupp community woodland and now have some hazel products available for the new gardening season. Some of our tools are getting a little weary with so much use so we will be going shopping. It’s all go! 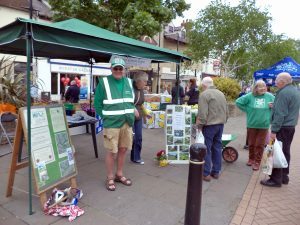 Rest of 2010 – Green Gym helped contribute to the Town’s success at In-Bloom, where they won Silver, Nationally and Gold, Regionally. 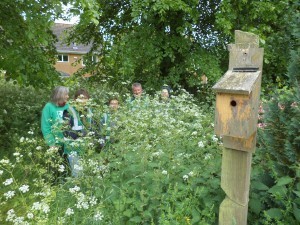 We also revisited Kidlington and Island Pond Wood. New sites included renovating the courtyard garden at the Community Hospital and doing initial clearance at Cooper School’s wildlife area. On this occasion the work was too much and we resorted to asking the builders working alongside, to use their digger! 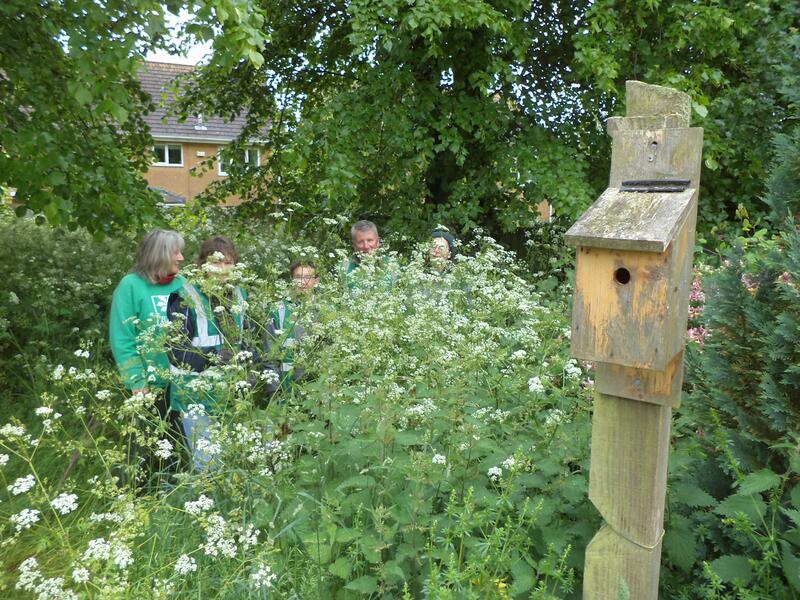 May 2010 – The group was awarded £250 from the Town Council and a good practice certificate from BTCV, who carry out a review every 2 years. So why not visit us? You’ll be in good hands! Spring 2010 – Now the weather has warmed up, take a walk in Bure Park to see aconites and snowrops, and the first signs of emerging bluebells. The first yellow brimstone butterflies have been spotted, and the sound of a drumming woodpecker can often be heard. 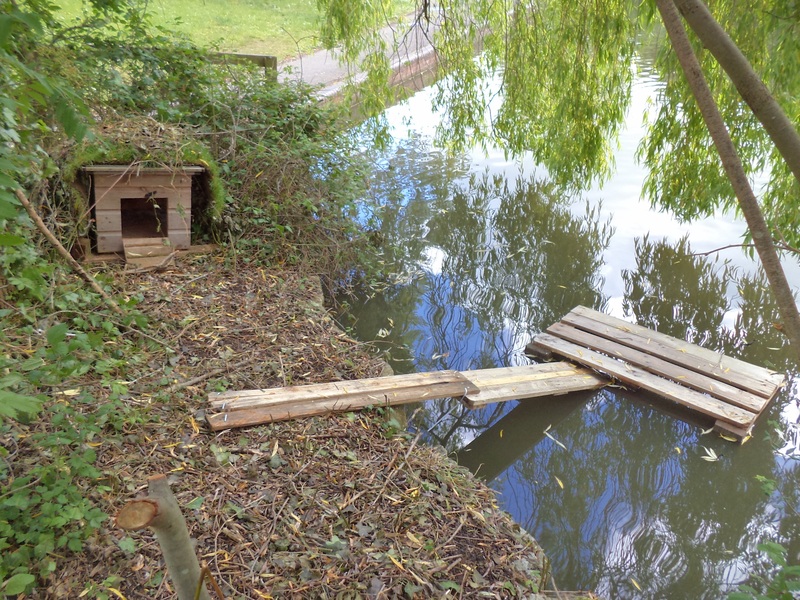 The stream has been cleared of rubbish and the path over the balancing pond improved. Why not take a walk today? 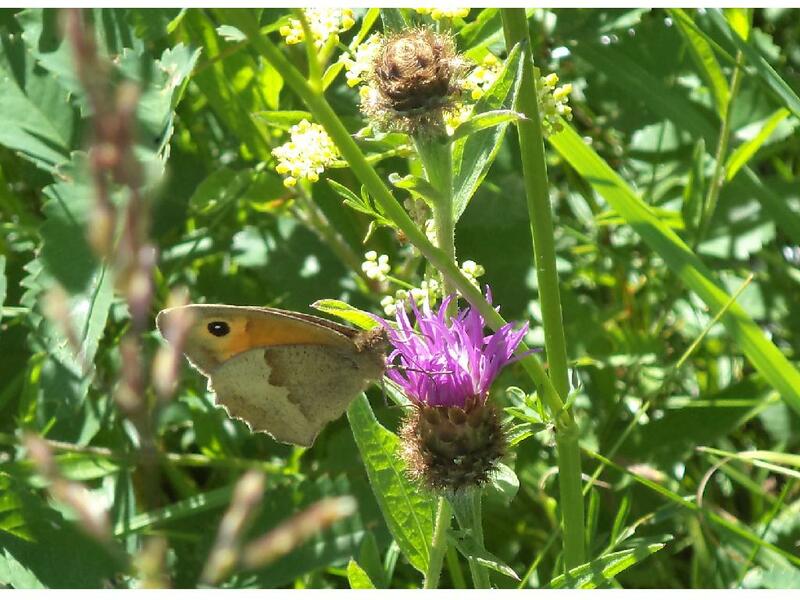 September 2009 – exciting new projects included bench painting at Bure Park, work on a Geology Trust quarry, not generally open to the public, ongoing development of Bure Park and Bicester Community College school wildlife gardens. Also new work with the friends of Launton woods and pond. May 2009: We planted showpiece flowerbeds in Manorsfield Road to help in Bicester’s In Bloom entry. We also enjoyed the jungle-like conditions at Bicester Community College’s Eco Garden during their recent School-Force Day. This is an on-going job, but the hospitality is always great at the school. Green Gym hit the jackpot again with a surprise £2000 coming our way from the Heritage Lottery Fund. 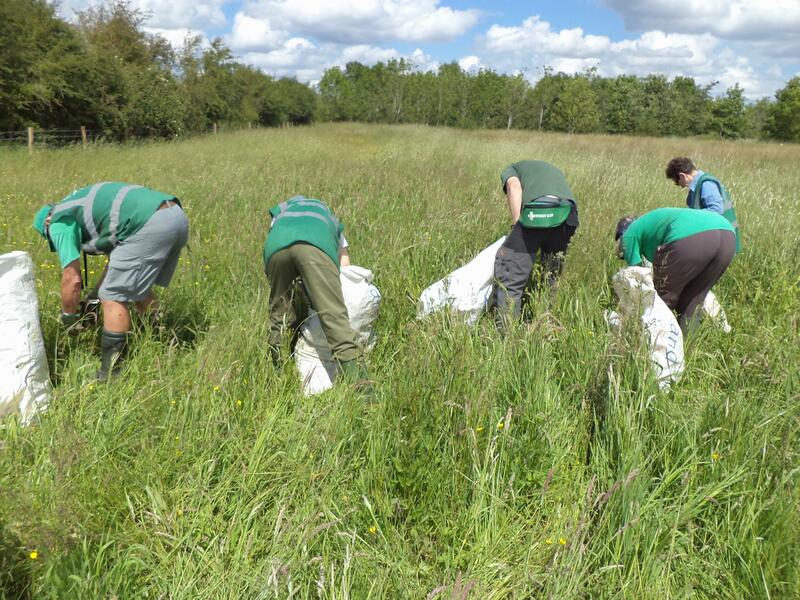 We had a great time spending it on tools and equipment over the Bank Holiday weekend!